As the weather is getting a little warmer and the days become brighter (thank god!!) I am also going to start being a little more adventurous with my makeup. Brighter colours mainly, but I also fancy changing up my look every month or so. 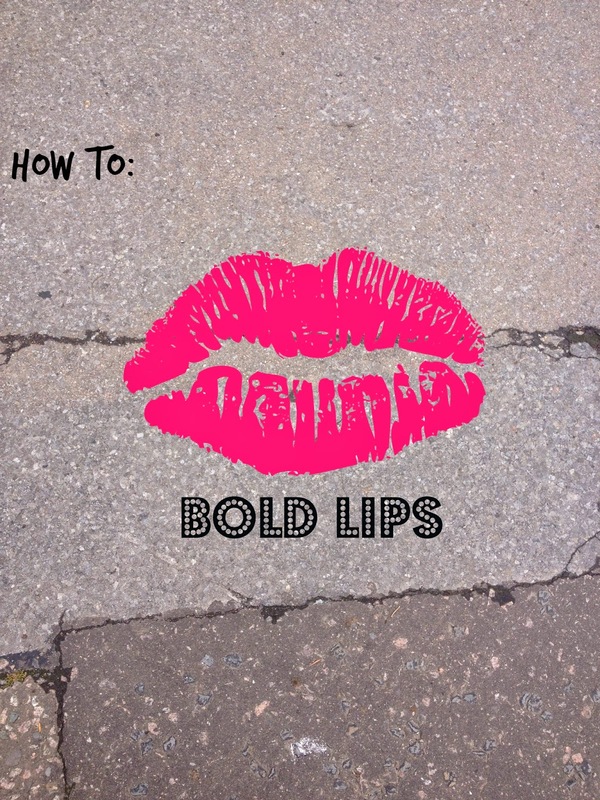 Anyway, I will probably start with bold lips. 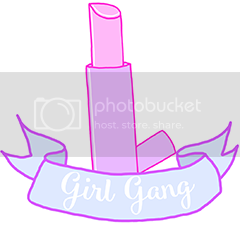 I recently cleared out and sorted my makeup collection and found so many lipsticks and glosses of all different colours, even a really neon bright pink! I probably won’t head straight for the neon, but a deep red or fresh spring pink will be a good start. This goes for all lipstick to be honest. Cracked and dry lips will never give you that glamorous, luscious lip that you dream of. If you do have dry lips, never fear. You can easily create a lip scrub with just two ingredients. Grab some sugar and Vaseline, mix them together and gently rub the mix on your lips. Once removed, your lips will be softer, but make sure to use a good lip balm on them afterwards. I love all Burt’s Bees products and the cocoa butter ones, I can’t remember the name, but they smell so good! An alternative method is to buy a really (really) soft toothbrush. You can rub the bristles over your lips and get the same sort of effect, but just make sure you are really gentle with this one! With bold colours, less is more. Apply colours using a lip brush for ultimate control. Finally, look like you wear bold colours all the time. With this look, confidence is key. I can't wait to start wearing brighter colours - Make sure to check my Instagram for some of my new makeup looks very soon! It’s that time of the year again when Valentine’s Day comes around and we all need shower our loved ones with gifts. Ok, I hope you understood my sarcasm there. Catch up on those trilogies, watch a horror…followed by something a little less scary, or both of your favourite films. If you fancy, grab some pick and mix, ice cream and popcorn, make the room really dark and snuggle together with some blankets. Whether you walk along the beach, in the forest or in your local town window shopping, it’s really nice to get out of the house and spend some quality time together. I love the beach; it’s so romantic and reminds me of home, holidays and just great times. Whether you make sand castles, walk along the shore, throw stones into the sea or collect beautiful seashells, the beach can make such a lovely date. Grab all your favourite board games and play them the night away. Grab loads of blankets, duvets, and pillows, build a campfire, make some s’mores, a bbq, and tell each other scary stories, the list goes on! This is so simple and really romantic. If you like, you could also download an app so you learn something at the same time. Go to your local court and shoot some hoops or grab a ball and see who can shoot the most goals. Give each other a massage, manicure, pedicure, enjoy a warm bath and just relax together. Don’t forget the candles! Revisit childhood and make a den in your house. (The free ones!) Most art galleries and museums are free and a great opportunity to learn something new. Have a look round at all the cute animals, just be careful, you might not be able to resist! Need to catch up on a TV series? Still not caught up on Breaking Bad? This is the perfect opportunity to catch up on TV and spend time together. I always loved the swings at the park: relive your favourite childhood memories and play on the swing. If it’s a windy day, it’s the perfect opportunity to fly a kite. Wrap up warm, grab the kite and head outside. Go head to head playing video games. As well as running the event together, this also gives you an opportunity to train together too. I love finding new YouTubers to watch and videos that make me laugh. Show each other your favourite videos and see something new. We all have those old exercise DVDs in the cupboards. Grab one and press play. YouTube also has loads of dance classes and exercise videos for you to try. If it’s a nice day, a bike ride in the woods makes the perfect date. If you wish, you could also find a beautiful spot and set up a little picnic area. Chocolate covered strawberries and champagne would make this a very special date indeed! 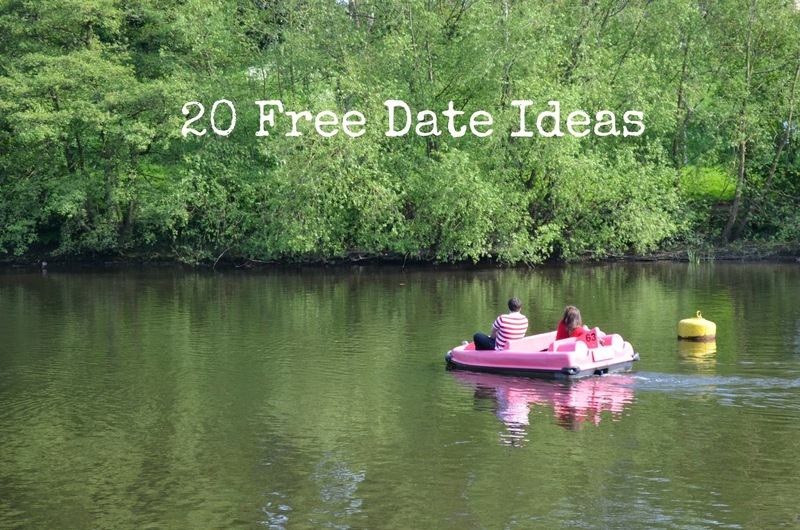 So there you have it, my 20 free date ideas. I hope you have found this useful and if you have any more ideas to add, leave them in the comments! Valentine's Day is approaching and so it is that time of the year to grab that special person in your life and show them how much you love them. 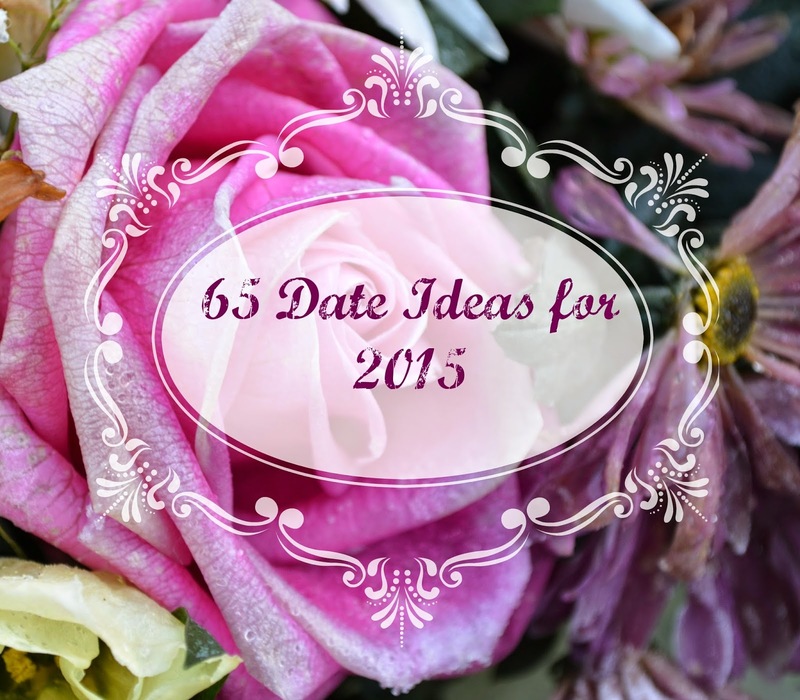 If you are lucky enough to have someone on Valentine's day, here is a really long list of ideas for you. Go out, stay in, do something as simple as watching a film together, just have fn and enjoy spending time together in 2015. For singletons on Valentine's day, I can only say sorry - maybe you could use this as a list of things to do!